We were docked for two days in Singapore and the beautiful city turned out to be one of my favorite ports-of-calls. While there were so many things to do and see, what attraction can a midwestern girl simply not pass up? Why, a trip to the amusement park of course! 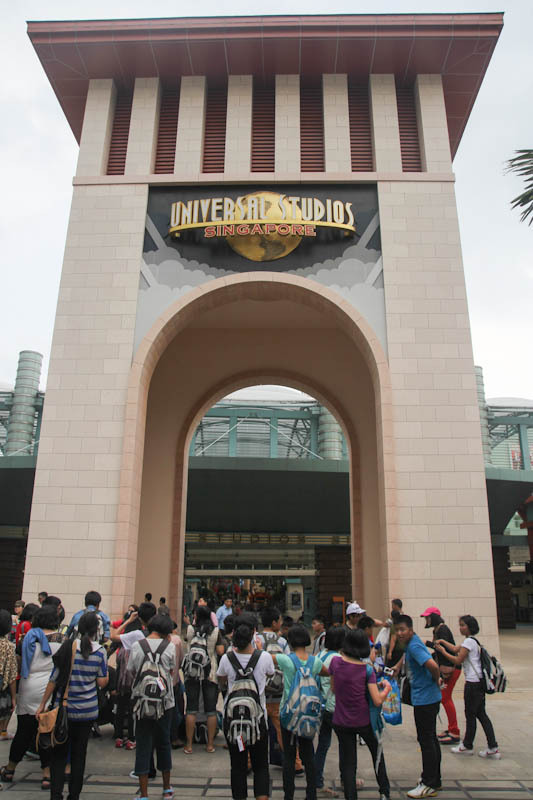 We spent out first day in Singapore living it up as children again, frolicking around Universal Studios Singapore. I couldn’t have been happier or more carefree, the usual effect an amusement park has on me. 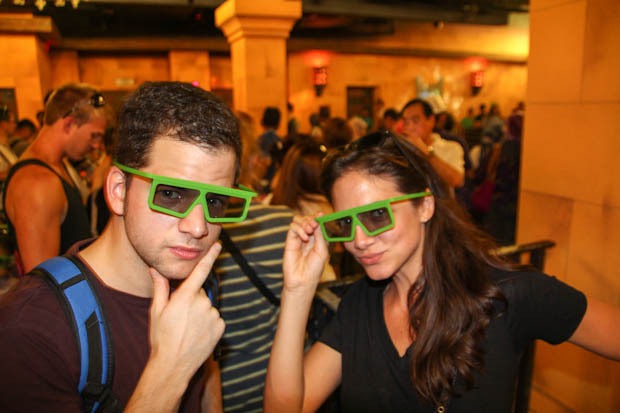 Who can resist a good 4D experience? Theo (bass player) and I waiting in line for Shrek. 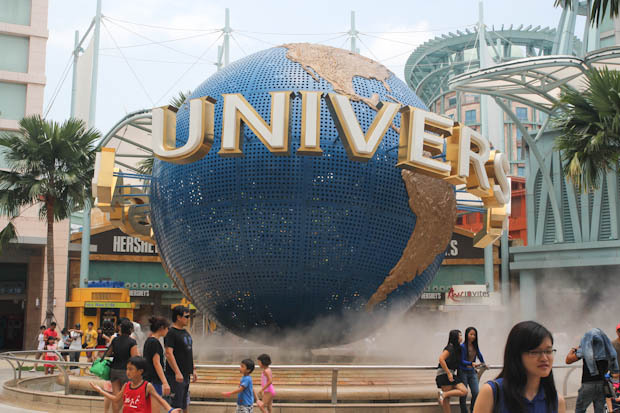 A slice of home…Universal Singapore looked just like the one in Florida. It even had a Mel’s Diner! These were the vintage cars outside the diner. And here is some of the entertainment! 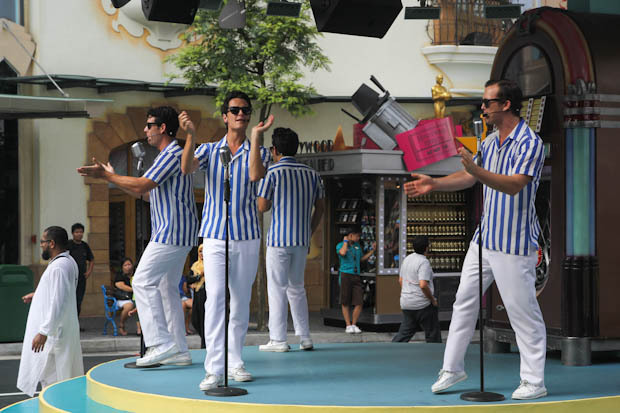 The boys were singing doo-wop outside Mel’s Diner. We had to get back to the ship for an evening cocktail set, but Jim (the saxophonist) and I ran back out and gobbled down an amazingly delicious dinner before having to be back for another set. 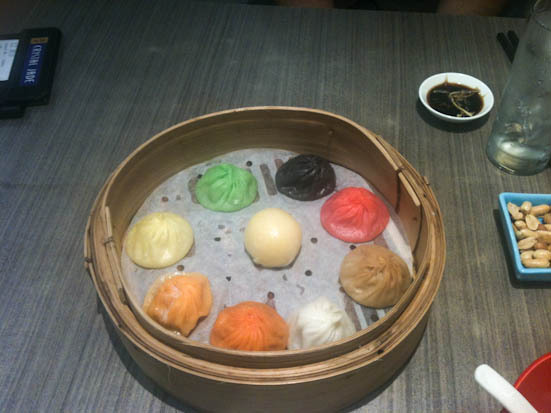 We split the dumpling appetizer below – each dumpling had a different stuffing and was divine. We all headed out again after our late night set in the club (overnights are glorious!) and took a taxi to an outdoor bar/restaurant complex called Clarke Quay. The club bartender on the ship met a guest who happened to own one of the bars inside called Wings, and he told us if we went there we would be taken care of. We felt like VIP’s as the drinks flowed all night. They were by far the best cocktails I’ve ever had – made with all fresh ingredients to boot. Because we stayed out quite late, the next day wasn’t spent as I’d had liked it to – there were grand hotels to visit, cable cars to ride, subways to take to little India and China Town, and so much more, but all I managed to do was make it to the mall complex connected to our ship terminal and roam around with a hangover! Still, even though I missed out on another day spent in Singapore, I wouldn’t trade the fun night – and espresso martini’s – for anything. 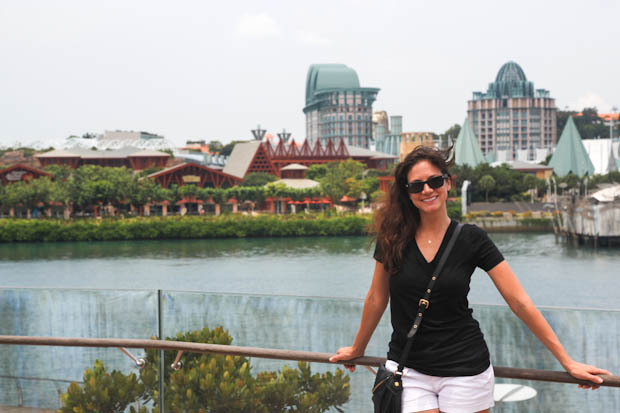 :-) Singapore definitely goes down in my book as a place to visit again. 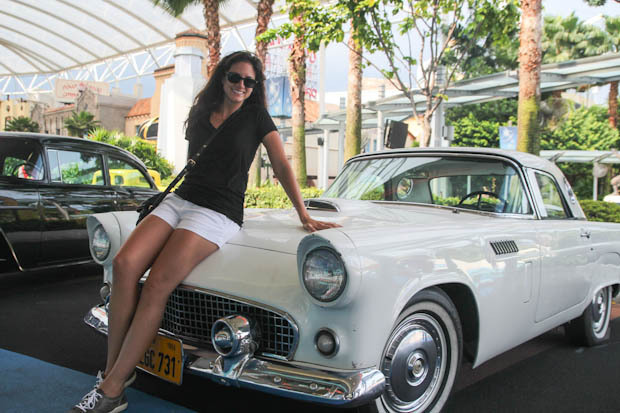 *For a more detailed list of what to see and do in Singapore, I recommend you check out Jen Reviews Post on the 100 Best Things to Do in Singapore.